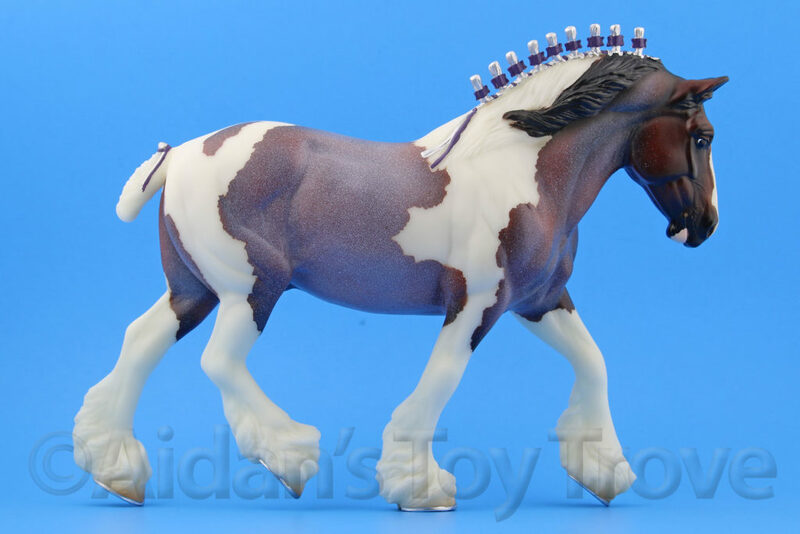 For sale is a Traditional Scale Breyer Vahana 711261. 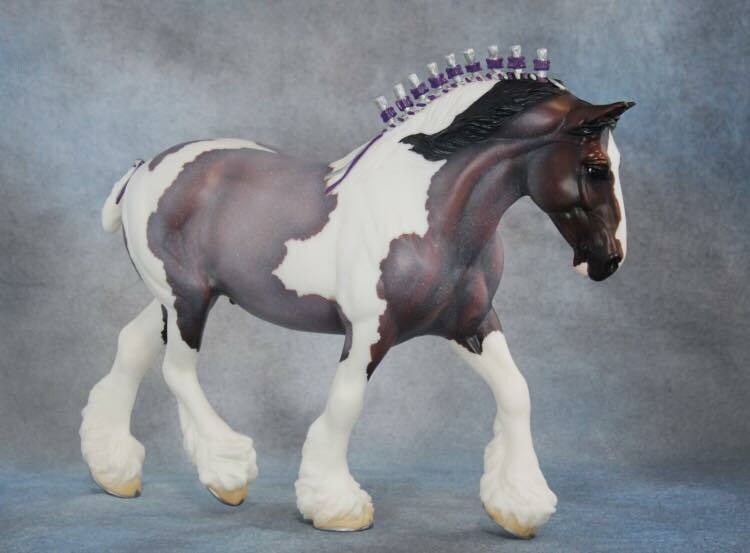 This regal Shire draft horse was sculpted by the talented Karen Gerhardt. 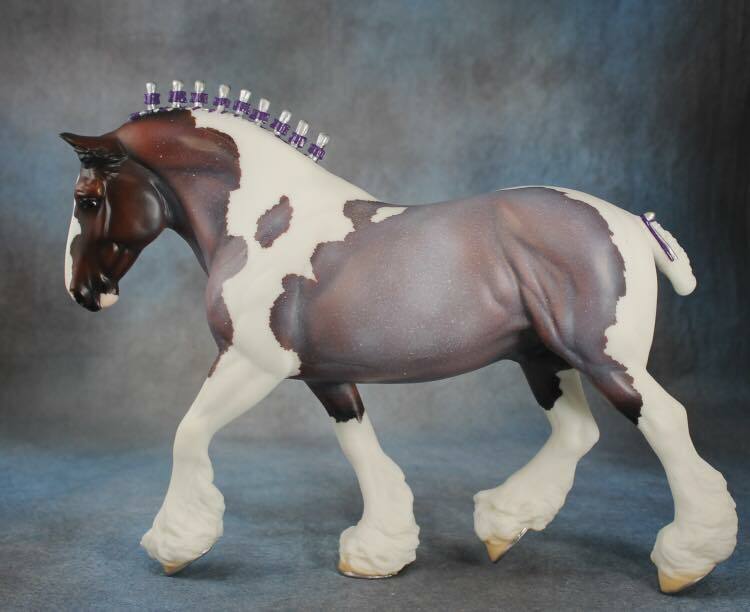 The mold was named Shannondell and originally came with both a braided and loose mane variation. 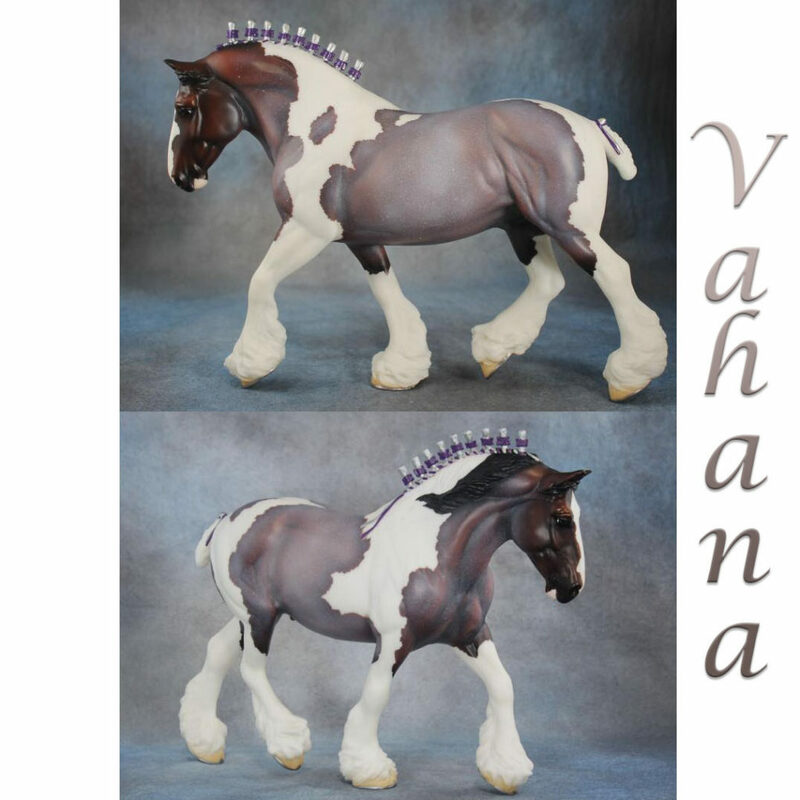 Vahana comes with braided mane. 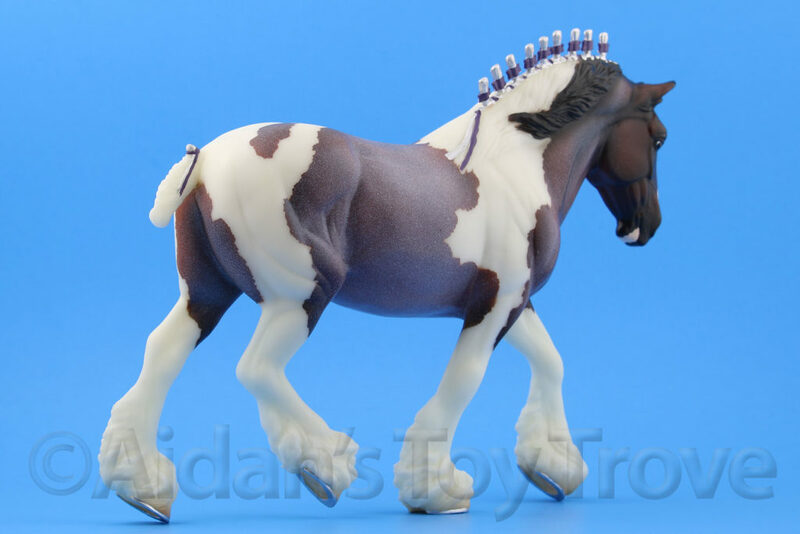 He is a beautiful bay roan pinto with lavendar and silver mane and tail decorations. 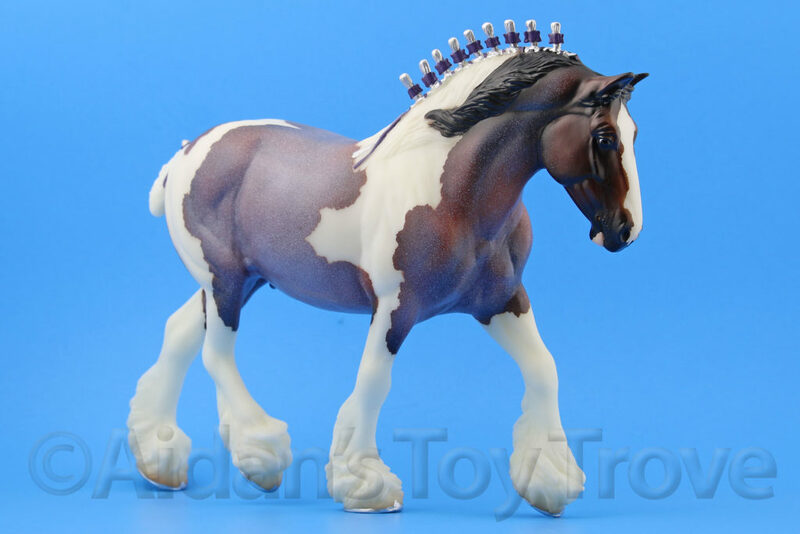 The Breyer Vahana 711261 was a BreyerFest 2017 Tent Special Run and was limited to 1,700 pieces. 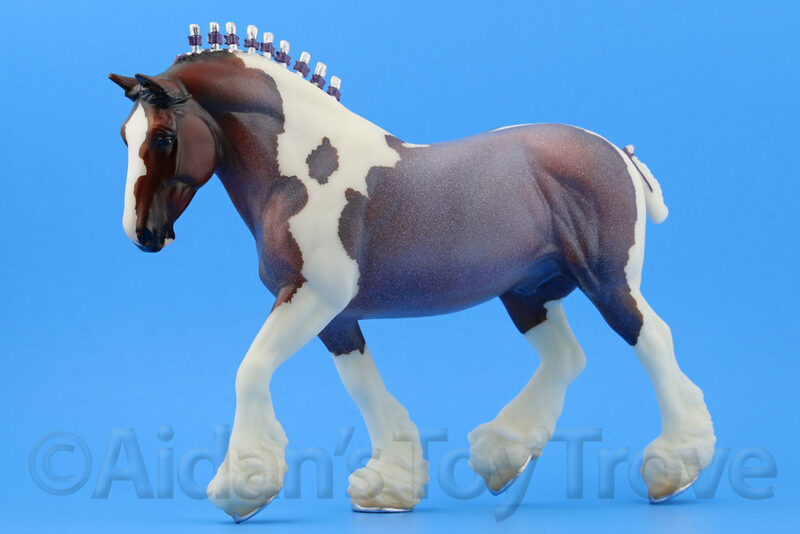 He is stamped BreyerFest 2017 on his underbelly in silver ink. 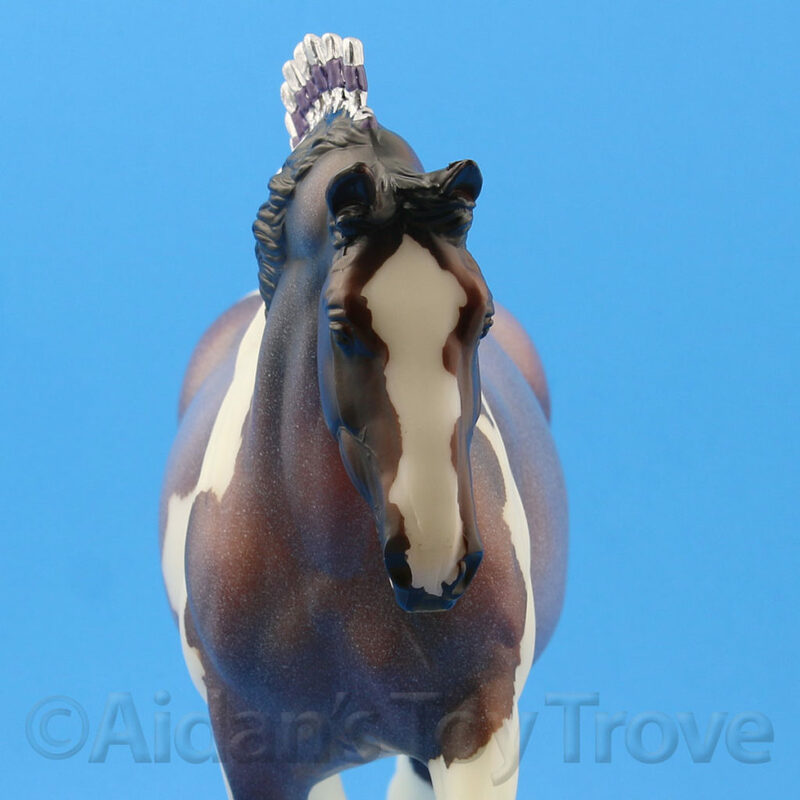 Vahana and the Bollywood Surprise were the very first models to sell out in the BreyerFest Tent Special Run Line. Vahana is completely sold out. 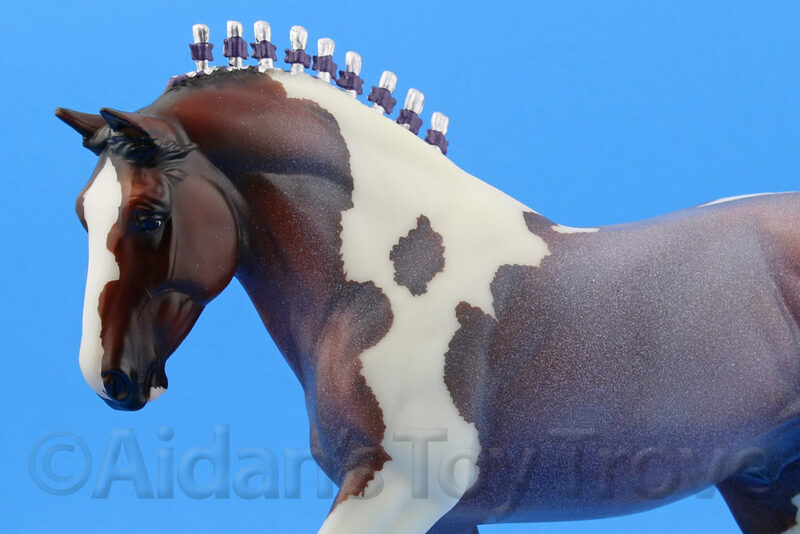 We will inspect all models for major flaws but we will not guarantee a LSQ horse. We do not offer a handpicking service. 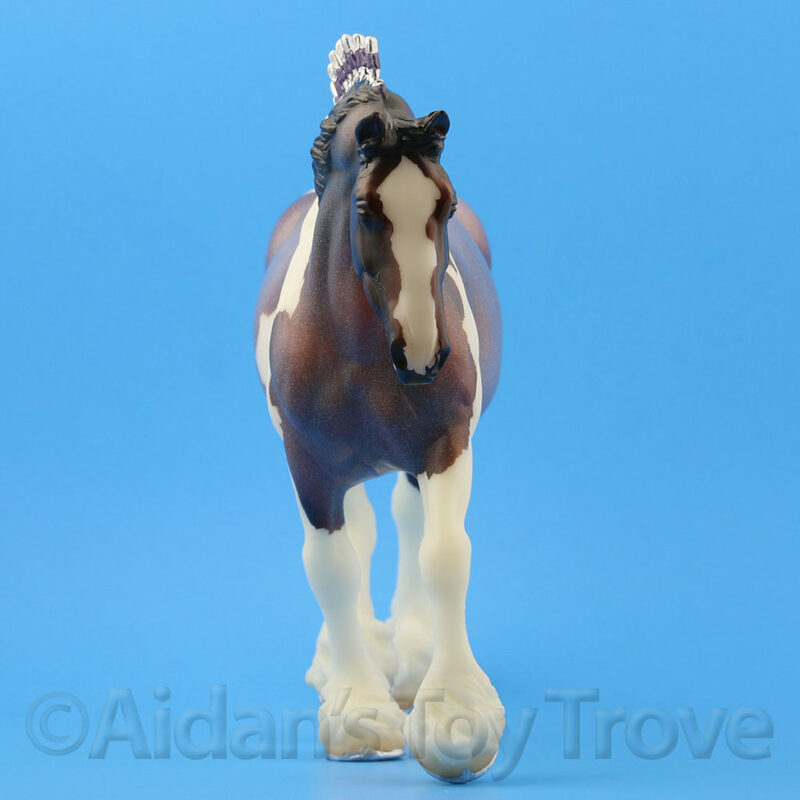 Horses will be inspected for significant condition flaws and exchanged if necessary. 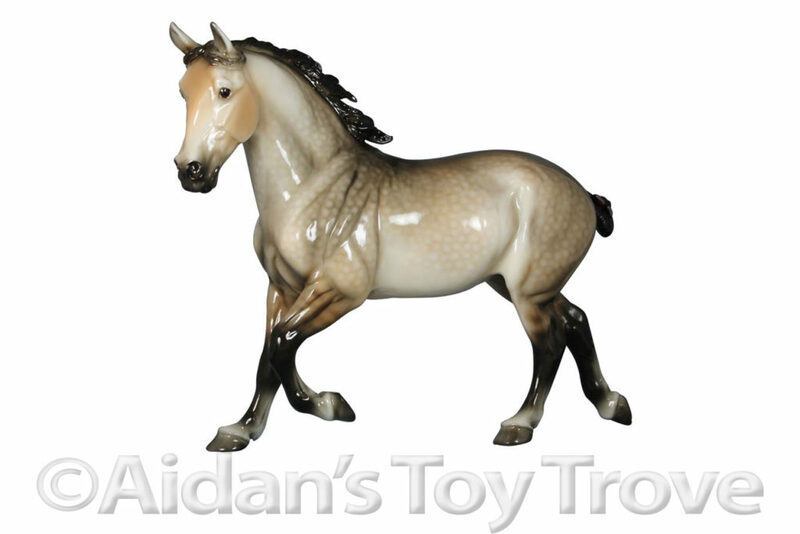 All of the inspected horses will be shipped at random. 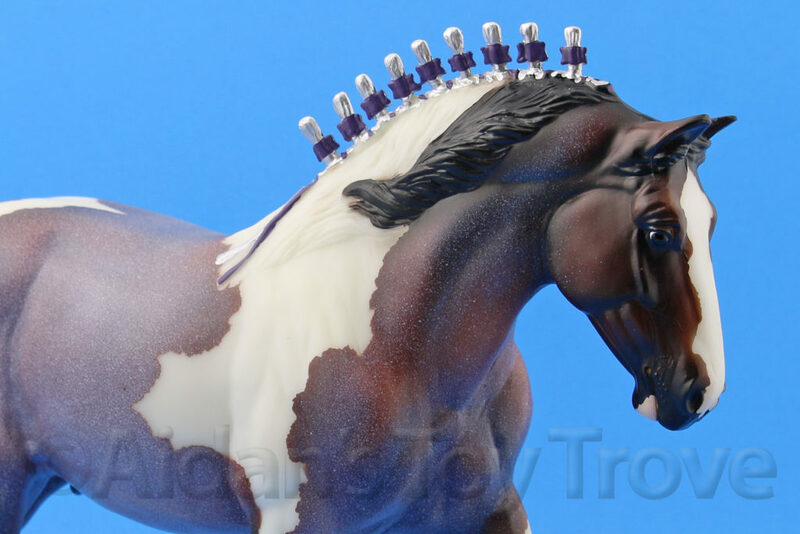 Your horse may have factory flaws like visible seams, overspray, lint or goobers in the finish, a small paint rub, etc. 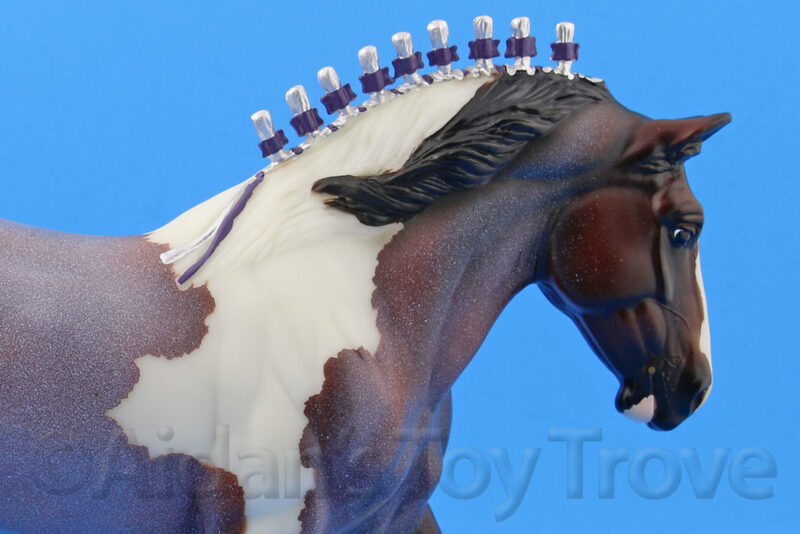 Your horse will be free of any breaks, cracks, seam splits, chips or large paint rubs. 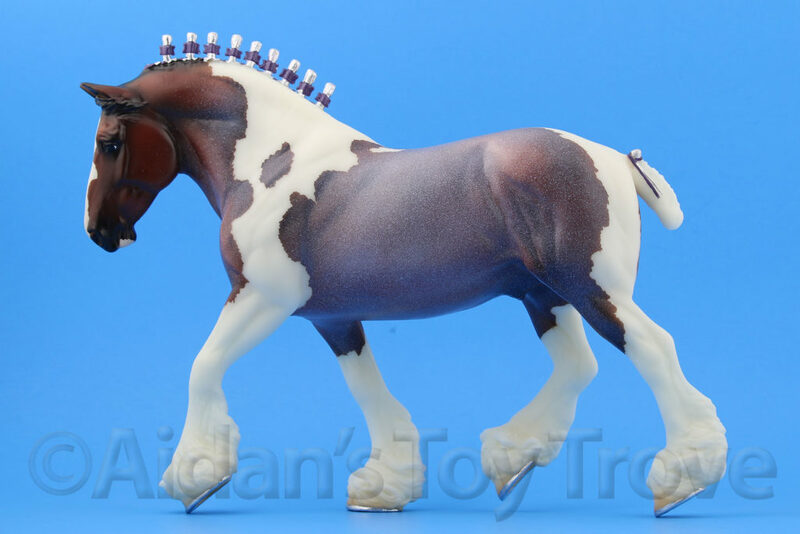 You will receive a New with Original Packaging Breyer Vahana 711261 BreyerFest 2017 Special Run. 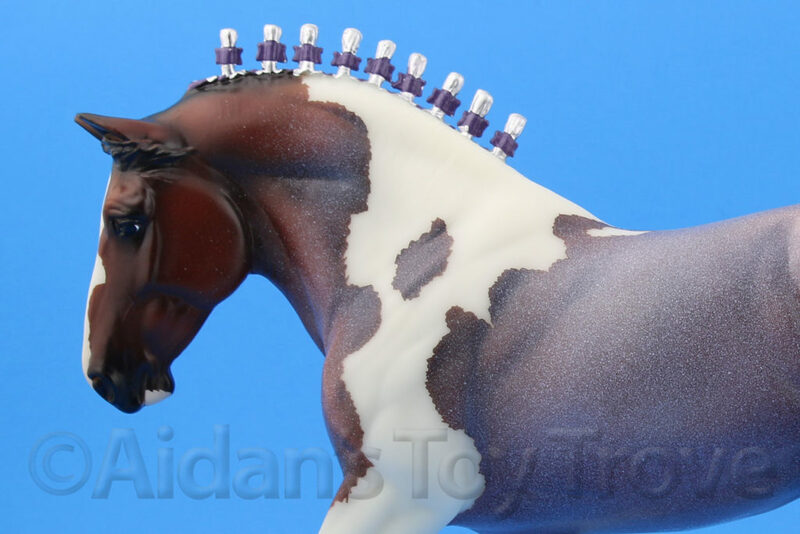 The packaging will have been opened for a visual inspection only.